Sometimes something great happens and you just have to take note of it. A new business has come to town and it’s so awesome it deserves an entire blog post all its own. It’s called Nebraska Elite and it’s just what the doctor ordered for both great health and a good time. Nebraska Elite is for both kids and adults. There are many enhancements to the incredible Nebraska Elite facility that will be done in the next couple of weeks and ready for use in the Omaha area and make it a state of the art facility. What Does Nebraska Elite Have to Offer? Nebraska Elite has a lot to offer! At one time this facility just had volley ball courts. Now it is a state of the art work out facility with something for everyone, no matter what your workout level. They have a large weight room and intense weight equipment. Nebraska Elite prides itself in the wide variety of full size courts it offers its members. There are several full size tennis courts. You can receive private lessons on these if you wish. There will also be 2 full court basketball courts. On these courts, we will have youth basketball programs, tournaments, and more. 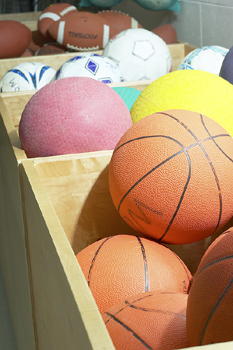 The basketball courts will offer state of the art basketballs, hoops, and scoreboards. Volleyball courts will be found in abundance at Nebraska Elite. There will 7 of them total, allowing for specialized instruction, team play, league play, and much more for most of the year. There is a pool for those who prefer to keep in shape by swimming laps or other forms of aquatic exercise. There is also a private aerobic area for those who prefer to keep in shape with aerobics. In addition, there is a group exercise room for activities like boxing and Zumba. One program Nebraska Elite is very excited to offer is the Y2E (Youth to Elite Enhancement) program. This will be run by select trainers with a separate membership for kids who are 8-18. It is for youth who are trying to enhance whatever sport they are involved in. It offers intense, specialized training. 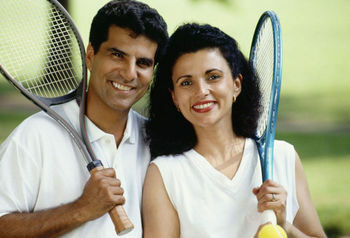 Many of our other areas, such as tennis and volleyball, offer individual instruction, as well. If you want a tour of the facility or would like to schedule a party at the facility, call Mike Ryder at (402) 706-4109. The address is 1212 N. 102nd Street.